The Blue Screen of Death…so now what?? (full post at dawnlizjones.wordpress.com) l am told that one of the names for this ominous and very frustrating apparition is “The Blue Screen of Death”. I’m sure there have been other endearing epithets, not all printable. And since I am only marginally computer literate, if that, I am 90% dependent on the powers that be to define the problem and get me back on board surfing the web. Therefore, I have an Ace in my pocket. When all my interventions fail (a process that doesn’t take long) I call the Help Line. It’s paid for, and they know a whole lot more than I do about what’s going on and what to do about it. They are available 24/7, can dumb it down enough to speak my language, and sometimes I can even understand through the thick very non-American accent. Regardless of what part of the world I’m actually connected to, can I say the person on the other end has a “global view” about the inner workings of my computer, whereas I somehow can’t get past the frustration of staring at this blue screen?? Pretty good analogy with life, certainly with mine. Sometimes I get surprised, no, blindsided by circumstances that come from “out of the blue”. Not only do I need clarity as to what is actually going on here, but I also need wisdom to know how to handle it. I need my Help Line, and His name is Jesus. He is available 24/7, totally speaks my language, definitely has an eternal view, and what’s best—it’s paid for, in full, by Him. Commands, not suggestions. Kind of like when the Geek Squad rescues my laptop from the creepy blue screen, and puts it back under my command so I can get on with…well, my life. *Tyndale House Publishers Inc (2008-06-01). The One Year Bible NLT (One Year Bible: Nlt) (Kindle Locations 12076-12077). Tyndale House Publishers. Kindle Edition. Author dawnlizjonesPosted on April 16, 2015 April 15, 2015 Categories Mom for HireTags blue screen, blue screen of death, computer, courage, Geek Squad, Jesus, Joshua 1:9Leave a comment on The Blue Screen of Death…so now what?? (full read at dawnlizjones.wordpress.com) The work on the house is progressing. Isn’t being a property owner just loads of, um…fun? The ceiling in the dining room is now finished, and the new crown molding looks great, matching the rest of the downstairs which was done last summer. Our wonderful contractor even patched up many of the cracks in the plaster, even though that wasn’t part of the “work order”. (Gotta love contractors who see what needs to be done, and just fixes it!) I haven’t cleaned all the dust out of the kitchen, or moved the furniture back into the room, but it’s going to happen, I can just feel it…Haven’t gotten around to painting it all yet either—that’s my job for a later time. The new bathroom is moving along also. We managed just fine with seven people in the house over Easter weekend and only one functional commode and shower (we Americans are just so spoiled.) Just today they replaced the old window with a new privacy opaque one. Now you can’t see how badly the window needs cleaning. I wonder if that’s one of the draws of an “earth” home…?? God sometimes has to move everything out of the way to get the job done. Schedules, toxic relationships, modern-day idols. It makes the rest of our lives look a bit “undone” for a bit while the work is going on. The nice thing is that when I do move the furniture back in, I can be choosey about what I put back into the space, perhaps a bit wiser than before. This takes some planning and muscle on my part, a.k.a. diligence. God fixes things beyond what we thought we needed fixed. Like my contractor who mended the cracked plaster in the walls—something that I had learned to “live with” as just part of my old house—so also God isn’t content to leave the cracked and peeling places in my life either. After all, my life isn’t just my life, it ultimately belongs to Him, and He doesn’t settle for what seems to us to be “good enough”. It takes humility to admit that there is more to the restoration process than I first admitted. Sometimes things just take longer than we had hoped, doggone it! Of course, I could stop the upgrading project in the bathroom today if I so choose, but then the plumbing wouldn’t be very functional, negating the whole reason for the bathroom in the first place. What God starts, He finishes, unless I choose to stop the program. Patience is part of the grace He gives during the dust of construction in my life. So during the upgrade, we have lived with the dining room table in the front room, a confused dog wondering who these people are and why they were rearranging his “cage”, and oh yeah, a short love note to my husband written in the dust. (full post at dawnlizjones.wordpress.com) I love fresh scents—the sun-warmed honeysuckle that dominates my fence in the summer, or the whole grain bread baking in my kitchen at wintertime, it’s all great! Evidently, our sense of smell not only brings pleasure or distaste, it also evokes memories from recent or far away past. I can barely stand the taste of coffee, but absolutely love to smell it in the morning at work or walking into a specialty store at a shopping mall. I’m sure this olfactory phenomenon has something to do with my dearly loved parents drinking coffee at home when I was growing up. And the musty odor of our basement when we moved into this old house many years ago immediately took me back to Grandma and Grandpa’s house, a delightful and comforting thought. Now, in addition to the “pleasant-ness” of the home, and the warm fuzzies that the fragrances evoke, some people are also inclined to believe that certain combinations of aromas can help produce certain beneficial effects on us humans. Granted, I’m not a sold-out disciple of all the current homeopathic trends, but seeing ourselves in an integrated way, as God originally designed us, makes some of the thinking about how our sense of smell affects us seem, well,… plausibly interesting. To begin with, when we try to add anything to what the Holy Spirit is trying to infuse into our lives, it becomes not only an impediment to what He wants to do in us and through us, but these additives can become downright destructive to those around Legalism or license, both are spiritually bloodthirsty. Whether we add to or subtract from His 100% pure oil (an age-old symbol of the Holy Spirit), anything but the real thing is dangerous. When we do allow only His pure oil – and it diffuses through our thoughts, words, responses, use of time, talent, and resources, etc – we often times are not even aware of the beneficial effect it is having on others. This comes with a consistently attentive walk with God regardless of, and many times deepened by, the sharp corners of our current existence. Author dawnlizjonesPosted on April 10, 2015 April 8, 2015 Categories Mom for HireTags essential oils, fragrance, Jesus, memories, nose, smell, spiritual environmentLeave a comment on What’s that smell?? (Full post at dawnlizjones.wordpress.com) They taught me a lot of practical things in nursing school, but computers were not on the syllabus. Probably because they weren’t around back then, at least not like they are today. Granted, we weren’t hammering our nurses’ notes into stone or anything like that, but neither were we “charting” on a keyboard next to the patient’s bed. We’ve come a long way, baby! Even in the almost two decades (sheesh!! THAT long??) of public school nursing, the technology has slowly but steadily seeped into my daily activities in my little office. Out in the small county schools, I didn’t even have a typewriter in my various offices, much less a computer. Usually I would arrive so early that I would have to go into the building through the kitchen where the cooks were scurrying about geting ready for the breakfast bunch. One school had the cows in the field snug up close to the school yard. Another school had me on what I affectionately called the “third and a half floor”, which was a half flight of stairs up from the second floor that led to only a (very) small room with a spitting steam radiator. There was no phone in that room, so the secretary would come up half way and holler for me if I got a call. A third school put me in the closet with some kind of heating unit. The last one stashed me away in a little place right next to the band room, which was fun when I was trying to accomplish some hearing screenings. White coat or no, I was still near the bottom of the technology pole, which was of little consequence having existed and functioned for 40+ years without it. Fast forward almost 20 years. I’ve now been in the largest district in the county for most of that time, which is still small compared to our city counterparts; however, we are blessed with a very techno-minded administration and faculty, and I have gone from a monochrome 80-88 to the newest upgrade and operating system available in the district. Of course, that may be outdated by tomorrow at the rate all this is going! Nonetheless, my computer and I have a love/hate relationship, which proves the necessity of the Internet Technology gurus, affectionately known as the I.T.’s. The “its” in our school community are the somewhat secretive superpowers that can move the cursor on my screen from somewhere deep within the computer grid, and like a poltergeist residing in my hard drive, can type messages to me while lurking off camera. I have an occasional “it” sighting in my building, and must quell any urge to pull an “it” into my office if I have a computer problem. I have learned that that is inappropriate “it” etiquette; one must go through the royal gauntlet to properly address an “it” and get repairs on one’s computer. Recently, I was having trouble accessing a state website needed to check immunizations on my students. This is an important part of my job, and since we have now enjoyed the convenience of our technology, of course the convenience has grown (stealthily) into a necessity. Thankfully, an “it” came to my rescue (having been requisitioned through the appropriate channels), making a personal visit to my office (!!) Evidently, the somewhat finicky website was questioning my authority to access the program this time. My wonderful “it” had to add me to the “admin.” roster, and voila! I was in! Now, without having that authority to access the program, I would have had much difficulty accomplishing the tasks assigned to me, and the end result would have been that the children could potentially suffer from it. One other option could be to have the “it” do my job for me, looking up all the immunizations, printing them off, and all that entails. Not a very efficient solution, (nor probable, I might add…) Rather, he used his authority to grant me authority. Then, and only then, could I prevail upon the computer to let me do my job! Realistically, what is my level of authority in the heavenly sphere? Do I have any power? If I am “blessed with all spiritual blessings in the heavenly places”, how does that translate into “doing my Father’s work” on a daily basis? How do I “administrate” this “ministry” of reconciliation. Both of those words have the little piece “min” embedded within them. “Min” comes from the Latin word for “servant” and is related to the Latin word for “minor” or “smaller”. Hmmm…. In other words, to administer really means to serve. It calls for meekness. In a nutshell, because of what happened at Easter, we have the authority to be logged onto heaven’s site as “admin”; our job necessitates that we access heaven’s resources to benefit those around us. And I don’t even have to fill out a requisition in triplicate…! Somebody cut me a stick for this marshmallow, please. (Full read at dawnlizjones.wordpress.com) I have mentioned the “bush that ate Nevada” previously. This gorgeous spectacle of botanical proliferation still, at this writing, thrives at the end of our driveway. Its blooms are, unfortunately, not quite as astounding as in the past. Some of the inner, older core of the bush/tree have died away, but not before sending out plenty of new shoots in every direction. Of course, these new shoots, which have now redefined the bush itself, are impinging upon other places that, well, should not be impinged upon. The end of the driveway, the asphalt itself, seems to be sprouting forsythia (life is so tenacious), and it had become a safety hazard when attempting to pull into our street, since my beloved, little $5 sapling has succeeded in semi-hiding oncoming traffic. There was only one thing to be done—prune. Even the most uninitiated gardener may have some cognizance of the first advantage of pruning; that is, it only makes for a thicker, more luxurious plant. I will admit that I probably have not been as consistent in my pruning process as needed, so when I did “get around to it”, it would generally be a fairly massive, (and messy), project. Getting rid of at least some of the dead wood, recovering at least some of the driveway, and clearing visual space for motor vehicle safety— these took some serious effort. We all know about God’s pruning in our lives. Sermons are preached on it, we are encouraged to recognize and embrace the process. But it doesn’t make it any easier. Sometimes the pruning project isn’t even about us personally; it may about an organization, a group, even a church. As God allows a particular entity to prosper, the core sends out new shoots to continue the work of the bush as the older core finishes, having done its previous part. And sometimes the old needs to be pruned away so that the new can redefine the life of the bush—new wine in new wineskins, and all that. Now, this is not to say that the old is useless; no, far from it! Although the old branches may not continue to produce the bright yellow blossoms as in the past, yet they are extremely useful in other and very important ways, (and this is where our culture misses it so often!) The old branches on my forsythia still support life—nesting and hiding places for the birds, support for the new living branches, and when placed in the fire pile, they help become dirt for the other areas in the garden. How we so often waste the precious resource in our zeal to accomplish so-called “greater” things! Oh, that we would recognize and reap the benefit of what the older generations have to give to us! We frequently prefer the flashy over the stable, the things that catch our eyes, rather than the things that enlighten our hearts. Additionally, God’s life-pruning process also includes a safety factor. Sometimes our quest for big-ness prevents us from seeing oncoming danger. I can think of more than one specific plan I had that was not allowed to happen, due to one circumstance or another, and I praise God (from this side of the idea) that it was not allowed to happen! What we sometimes see as road blocks to may actually be God’s “bridge out” sign, and we are wise to heed it. One last thought about the Bush-That-Ate-Nevada. Our cycling club had a nighttime ride that ended at our house for a marshmallow and s’mores bonfire. So much fun! However, I did not have enough roasting sticks for everyone. What could be done? I trimmed off several green limbs from my mega-bush, some that even had multiple “ends”, and we could roast two or three marshies at a time on one stick! Shouldn’t we allow our Master Gardener to do the same thing? We may be planted and growing and producing what is “normally expected”, and He may come along and seemingly cut us down from what we anticipated His work through us to be. The main bush still survived, but the severed sticks have been commissioned for a new project, and are exactly what is needed. But rest assured, it is only so that He can use us in a different, more creative capacity. He promises that, “we are His workmanship, created in Christ Jesus for good works, which He prepared beforehand, that we should walk in them.” How wise is our Gardener, and how perfect is His plan! Author dawnlizjonesPosted on April 8, 2015 April 4, 2015 Categories Dirty Hands: Happy HeartTags forsythia, gardens, God, older generation, pruning, s'moresLeave a comment on Somebody cut me a stick for this marshmallow, please. I am quickly becoming of the opinion that there is no better way to celebrate than to have friends over into the garden. So far, I have had a small family reunion dinner, my oldest daughter’s “Skype” bridal shower (she was in California and one sister was home in Missouri, and the other sister was in New York City—hurray for technology! ), a private evening bistro with my husband and his poetry, and a bluegrass birthday party. One day, I thought I would ask a few girlfriends to come over for an “open air” breakfast in the late morning. Two of these ladies are quite accomplished and creative gardeners, and my spot of earth was far behind what they have mastered. In fact, there was still dirt laying around in various spots from fixing some of the stones in my yard. But is a garden ever truly completed? I tend to think that, since it is made of living things, then a garden must be viewed itself as a living organism, ever changing, ever challenging, fluid as opposed to finished. It would be a shame to put off entertaining until I had enough…enough what? Enough flowers, enough bird feeders and butterfly attractions? And what for? To impress them? Not on my budget or expertise! Can’t have the boss (or pastor, or in-laws, or fill in the blank) over until the house is big enough. Can’t have children until we can pay to put them through college. Can’t take a vacation from my job until the next deal is closed. Can’t give money to my church until I get a raise. And here’s the really big one: can’t tell someone about Jesus until I get my own spirituality together. Our can’ts are camouflaged as responsibility, when in reality they may be precariously postponing what is really important for what is merely urgent (at best), or selfish (at worst). Please don’t get me wrong; boundaries—whether they be relational, emotional, financial, to name a few—are important, but so is our choice of who (or Who) is Master of the garden gate. I need to remember the story of Mary and Martha, two of Jesus’ good friends. Martha was concerned with preparing to entertain Jesus, and Mary with actually entertaining Him by sitting attentively at His feet. Who was being most productive? Would Martha’s house ever be “good” enough to entertain the Son of God? And yet, when the opportunity was presented, she was in danger of missing out on the best house guest ever! Obviously, Jesus did not expect perfection (by cultural expectations) before making Himself gloriously and generously at home. I would hope that the people with whom I associate will choose to identify me by my character, rather than by the square footage of my property. Let me honor God with the property of which I am His steward, and leave others’ opinions up to Him. Certainly we have financial obligations to our people, but care must be taken to not overburden ourselves with future concerns over which we have little or no control. Someone who is married to his job can find his marriage to his spouse dissolve without him being aware of it until it is too late. A vacation doesn’t have to be a long expensive undertaking, but a regularly planned evening away—ALONE—can bring health and vitality into not only a relationship, but also into the job as well. And a caution to stay-at-homes: this means you, too! Check the chatter about the kids with your coat at the restaurant and focus on some exclusivity with your one and only. We somehow feel that giving money to God is a chore, like getting our teeth pulled. We have to psych ourselves up for giving what we think we can’t afford, or for beating back the guilt feelings when we don’t. An Olympic diver doesn’t start learning his craft by jumping off the high dive. Start small. It’s okay to ask God to increase our salary, but I should ask Him to increase my giving first. Yes, dishes need to be done, and we are not to use any excuse for a slovenly lifestyle, but that whole “cleanliness is next to godliness” is not in the Word of God. Our children are a gift from the Lord, more than our dishes. They need us to let them know that in very tangible ways, and the most important is giving them of our time. And, of course, the perfection of our lives is not the witness that Jesus is looking for. It is the consistency of love, and constancy of attendance on Him, of sincere repentance with corresponding behavioral decisions. It is His perfection of character that engulfs the flaws of mine. Good grief! How can I adequately bear witness and represent a Holy God!? To feel any remnant of adequacy to this task is the epitome of pride and hubris. No, I must not wait until I esteem myself a “better person”, and wholly rely on His Holy Spirit’s adequacy within me. —and many times that someone turns out to be me! Author dawnlizjonesPosted on April 6, 2015 April 4, 2015 Categories Dirty Hands: Happy HeartTags boundaries, children, garden party, Jesus, Mary and Martha, time useLeave a comment on Why Wait?? I’m not an expert on Jewish customs by any means, but reading the Old Testament about the Passover during this season is intriguing. Of striking interest to me is the part where the Hebrew people are warned that, once the Passover lamb is sacrificed and served up on a platter, they were to use up the whole thing in some way or other, not to leave any remaining until the next day. Here’s my take. Leaving meat unpreserved in a hot place for several hours (like overnight) causes spoilage and rancidity. Not just the ugly worms and bugs that we can see crawling all over the leftovers, but more importantly the ones we can’t see! It’s not just about had badly it stinks, or how unappealing it appears served up for breakfast. The bottom line is that spoilage causes illness, and rancidity causes death. I think of it analogously as Jesus our Passover Lamb. God intend us to “eat” Him completely, receiving all His words, all His commands, all His love, and to trust Him completely, or to use a good old-fashioned word, “whole-heartedly”, as opposed to “half-heartedly”. 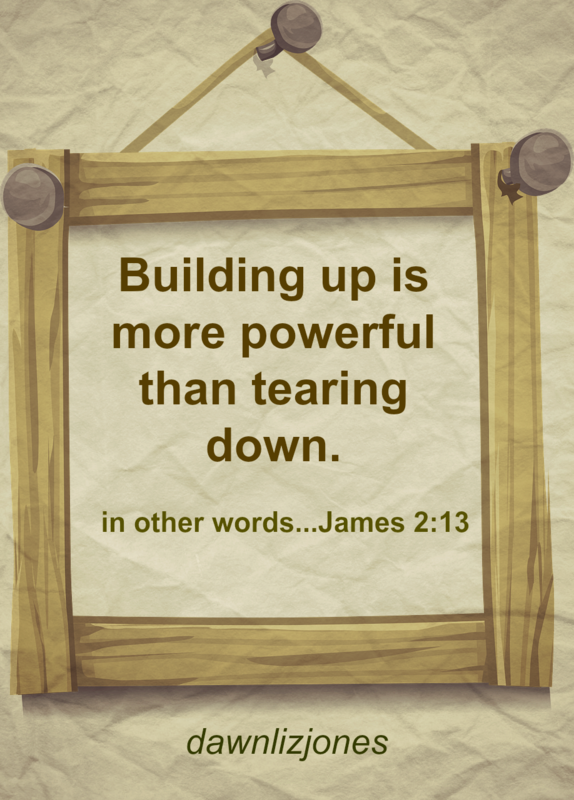 Taking just pieces of Jesus causes spiritual spoilage and rancidity. Like empty legalistic behavior, hypocrisy, selfish ambition, and the list goes on. In a nutshell, it not only stinks, but causes death—in ourselves and others. The truth is that most of us have been there, on the giving or receiving end…or both. The good news is that, even though Jesus’s Passover sacrifice of Himself for us was a onetime event, Passover itself comes around every year. Our God is One of second chances, and third, and fourth. Grace is truly amazing. So here’s to encouraging us all to make sure we “fully consume” the Passover Lamb. It’s really the only way to not have spiritual stinkiness in our lives. And really, even though we have to chew on it sometimes, it’s pretty tasty! Author dawnlizjonesPosted on April 5, 2015 April 8, 2015 Categories Mom for HireTags Christian worldview, cross, Easter, Good Friday, hypocrisy, Jesus, Jewish, Passover Lamb, second chancesLeave a comment on Eat Up! Baking is an art form, one in which I am not well versed in. I approach baking much like I approach gardening: instead of the manicured lawns with sculpted flower beds, I’m more the scattered wildflower variety with a yard fertilized by my dog. Nonetheless, here are a few equally scattered thoughts about baking anyway. Starting with friendship bread—someone gives you a small bag of tan-colored, semi-liquid mush, accompanied by a sheet of specific directions which, if followed correctly, will produce some very delicious sweet bread. The unique thing about Friendship bread is that part of the instructions tells me to save some of the mush to give away to someone else. 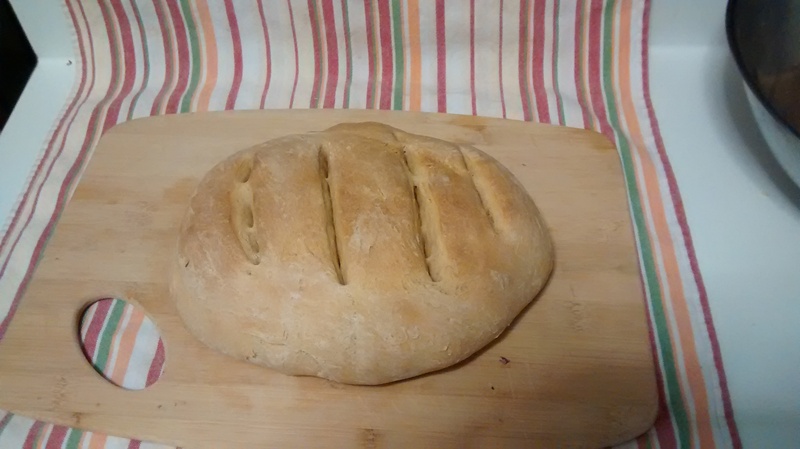 The more I follow the directions, the more sweet bread is produced and the more I can give away (or eat). Now, I kind of think faith is like that. Andrew Murray, in his book With Jesus in the School of Prayer, refers to some of the hard sayings of Jesus, liked moving mountains and all that. Jesus even said that “greater things than these you will do since I go to the Father”. Wow! I mean, really, He brought people back from the dead, pulled money out of a fish’s mouth, withered a fig tree with a word, stopped a storm at sea, commanded demons into a herd of ham, and on, and on. Or else I can shrug my shoulders and relent that I just don’t have enough faith. Now there’s a real cop-out. Or I should say, a half-truth, something the old serpent is equally quite good at. Of course I don’t have enough faith! Duh. But that does not stand to reason that I don’t have ANY faith. In fact, God tells me that He has given EVERYONE a measure of faith. Like friendship bread, I am given a portion of faith, and it’s up to me to decide what I’m going to do with it. When you follow the directions, it’s pretty amazing what can happen with a bag of mush. Henry, Matthew (2010-11-07). Unabridged Matthew Henry’s Commentary on the Whole Bible (best navigation) (Kindle Locations 136223-136224). OSNOVA. Kindle Edition. Daniel 3 – I love this story! Author dawnlizjonesPosted on April 4, 2015 April 4, 2015 Categories Mom for HireTags Andrew Murray, baking, Bible, bread, character, faith, Lord, Matthew Henry, measure of faith, yeastLeave a comment on The “art” of baking….not. Sure, okay. I guess that depends on your definition of charm. Like an obstinately leaking flat roof or creaky floor joists. We have lived in our “charming” abode for over twenty years, and are s-l-o-w-l-y but surely getting it upgraded from charming to more functional. Central air and the first attempt at a new roof came when we moved in. Since then, we have successfully vaulted the flat roof, gutted and remodeled the downstairs bathroom, put in new ceilings, and improved the whole picture with new aluminum siding. Currently, we are completely re-doing the upstairs “water closet”. Of course, “we” is a euphemism for our wonderful and patient contractor, Dusty (which, personally, I think is a terrific name for a contractor, if you get my drift.) Bob and I can barely hammer a nail in straight—that is, if we can find the hammer. Dusty and his men really know their stuff. And they didn’t even raise a stink when my over-curious husband checked out their work area to see the progress, promptly stepping into some construction goo that they had just carefully spread prior to laying the tile. They have vision, and that gives them purpose. They’re going for both functionality AND aesthetics! But regardless of how careful and considerate they are (and they are! ), when construction is in progress, you just can’t plan to dine a royal party in style in the middle of it. And you also don’t want to rush the work, either. It needs to be done properly and under experiended supervision so that the electricity doesn’t burn down the house and the plumbing doesn’t, well, you know. Life is similar. We all need to be remodeled, upgraded, re-done. We are all under construction, and have our times of messiness. People close by step in the sticky goo of our moral confusion, or have to be careful not to trip over the ripped off wallboard of our pain. Like my contractor, God is not deterred from His vision and purpose for us. All my goo, all my dust, it’s all temporary. And Jesus didn’t die on a cross just to make me “functional”, although some of us would be thankful even for that! No, He made the supreme sacrifice to make us beautiful, to make our lives count for eternity. This Easter, don’t be afraid to hang up the “Under Construction” sign and put on a hard hat. It’s what He now lives for!